Recorded back when the Book Shambles crew were out in Australia, we spoke with dual Miles Franklin award winner Kim Scott, whose new book Taboo has recently been published. 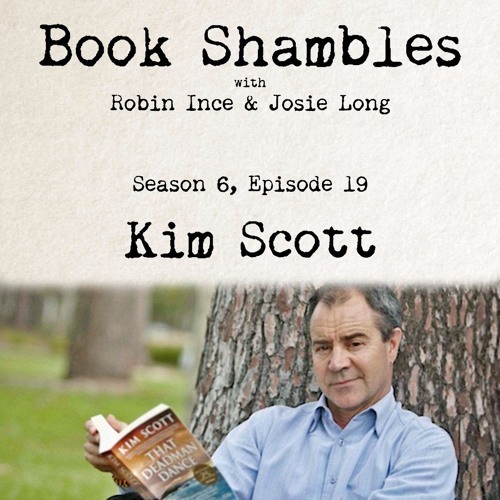 Robin and Josie chat with Kim about some of his favourite books from when he was an English teacher, his own novels, imposter syndrome, Aboriginal storytelling and his work with preserving the Indigenous Australian Noongar language. To find out more about the Wirlomin Noongar Language and Stories Project at http://wirlomin.com.au You can support Book Shambles by becoming a Patreon supporter at http://patreon.com/bookshambles to hear extended episodes, win books and much more.